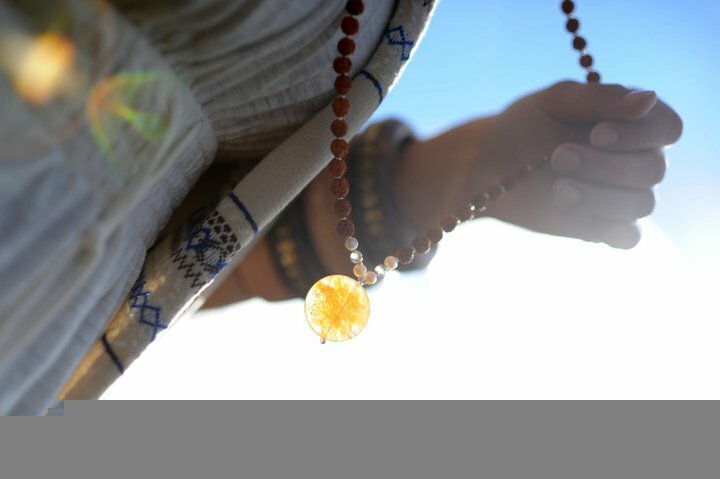 In my last article I told you about how I discovered and began my love affair with malas. Disclaimer: Before I go further I can candidly admit that I am not an “Indian Guru” (though I am extremely passionate about all things malas). I also do believe that I must have been a monk in a past life, and definitely did spend a past-life or two in India. No, but, seriously one of my goals is to study with a third generation mala maker and dive even deeper into the tradition and history of malas in Bodh Gaya, India where the Buddha was enlightened. The word japa mala is sanskrit for garland. Interestingly enough there was some confusion that led to the etymology of the word. The word rosary came from the mala when the Romans misunderstood the word japa to be jap (in Latin the word for rose). The origin of the mala that we are talking about here is said to be from 500 B.C. Growing up a Catholic, I was very surprised to hear that the mala actually predated the rosary. The mala was first founded in the Hindu tradition and then adapted in the Buddhist tradition. That said, malas of some sort can be found in nearly every culture worldwide including Greek worry beads and Islamic beads called Tesbih. Believe me, after doing seated meditation for a month with my first (and thus far-only) meditation teacher Emil Wendel, I can attest to how hard this can be. I could not stay awake—and if I was awake—I was dreaming about designing websites, starting businesses, traveling across the world, falling in love, what I was going to eat for lunch…you get it. There are many different types of materials that can be used for mala beads such as Rudraksha seeds, lotus seeds, sandalwood, tulsi or wood from the Bodhi tree. Also, the number of beads are usually either 27, 54, or more traditionally 108. Each of these sacred increments usually have an additional Guru stone. I have also been asked why one should never go over the guru stone in japa meditation. The guru stone (or alternatively the meru bead) represents the divine. When you gets to this stone you are supposed to stop and be thankful for your teachers and acknowledge any form of divinity that you feel connected to. Then, one should turn the mala over and continue in the other direction. Every aspect of the mala is soaked with tradition and ritual. How to Use a Mala. I recently found out that when you receive your mala you should charge or empower it by using it for 40 days. There is also some confusion about what hand and fingers to use. It is clear that the index finger should not be used to touch the mala as it represents the ego. With regard to which hand—in my humble opinion, whichever hand feels most comfortable should be just fine. That said, traditionally the right hand has been known to give the mala energy while the left hand has been known to absorb the mala’s energy. I have recently been told by a healer that she charges her mala with different energies through the practice of reiki. Specifically, she told me that she programmed her mala to store healing energy for her son who suffers from asthma when he cannot access his inhaler. How does one find his or her mantra? In India children are often given their first mantra. I recently spoke to Jen, a friend of mine in San Francisco, who was “given” her mantra. How did you get this mantra? I asked. I got enrolled into a meditation course. How did you get enrolled? I asked. Diana Charabin is a yoga teacher who is currently not teaching yoga and a trained lawyer who is not practicing law. She is the founder of Tiny Devotions—a Canadian company that hand makes designer mala beads. 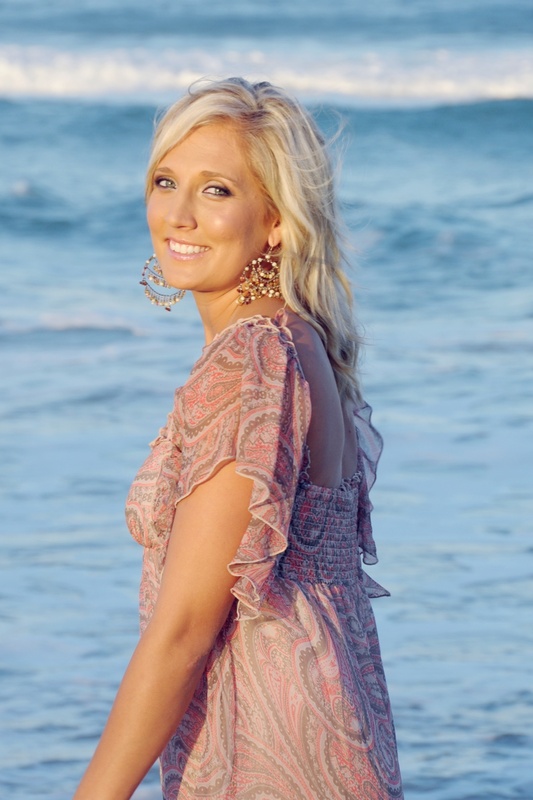 She is part gypsy and part CEO and loves adventures, creativity and love. Connect with her on facebook and on twitter.